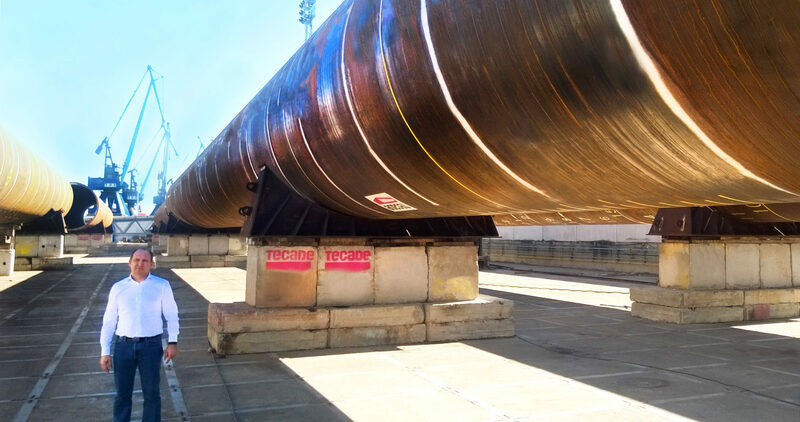 Spanish heavy steel manufacturing company Tecade SA, located in Sevilla, partnered with Pemamek to deploy PEMA Assembly station that is able to handle and weld heavy and large diameter work-pieces. To acquire a complete solution for manufacturing heavy and large diameter products that could also handle and weld the product. PEMA TW8000-300 assembly station for heavy and large diameter workpieces. Maximum capacity up to 300 tons.  Tecade is now able to promptly respond to the fast growing demand on wind and offshore products. Tecade SA, established in 1986, is a family company that has worked for 30 years in the field of heavy steel manufacturing. Founded by Antonio Camino Salas, the company has developed into a large scale international company that has steadily set its foot on the bridge and offshore markets. Today, Tecade employs around 200 personnel and the target is to gain further growth in the future. The company’s plans are to implement large investments while maintaining the same positive business incline. Even though Tecade has its main focus on domestic markets, the company aims constantly broaden its supply internationally. Currently Tecade exports around 10% of its production and has major projects in progress in countries, such as Mexico, Scotland, Venezuela and Canada. – During the past seven years our cooperation with international companies has increased. Future plans are to expand and add investments while increase revenue. Additionally, we aim to gain better position in the competitive markets, says Juan Diego Camino Munoz, Chief Operating Officer of Tecade. Tecade just opened new facilities, Tecade Yard, in the port of Seville by the river of Guadalquivir. The great location and modern premises provide new opportunities to develop business operations. 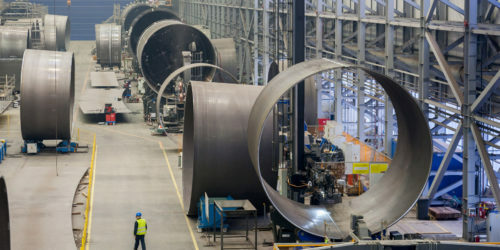 In order to boost production and drive growth in bridge and offshore industry, Tecade was in need of production machinery for heavy and large diameter products. In addition, the aim was to find a supplier that would be able to provide reliable machinery and complete solution line from welding to material handling, not only a singular part of the process. Tecade knew Pemamek beforehand and after few discussions a mutual language for strong collaboration was found. – We were able to create spectacular bond with PEMA’s product specialist which enabled clear and open communication where developing ideas were exchanged during and after the project, tells Camino Muñoz. To implement the solution and getting the machinery in manufacture use as soon as possible, Tecade closely cooperated with Pemamek’s expert team. With the help of co-operation and good project planning, even with agreed tight schedule, the assembly line was delivered on time and was ready for production after only one week of commissioning. – Pemamek understood our needs and was able to fulfill all of our requirements. They were flexible and cooperative to make the solution to our needs. Additionally, PEMA has experience in wind and offshore industry, and presented very good references, Camino Muñoz says. PEMA Assembly station now enables Tecade to speed up the manufacturing process while producing high quality products that can weight up to 300 tons. Efficient production of customer’s large scale cylindrical and conical pieces relies on the ability to operate in a broad area with a diameter of 1,5-8m where no additional setting times are needed. The station also enables precise and fast shell fit-up and tack welding. Furthermore, with an integrated column and boom, the seams of each workpiece can be welded in the same station. 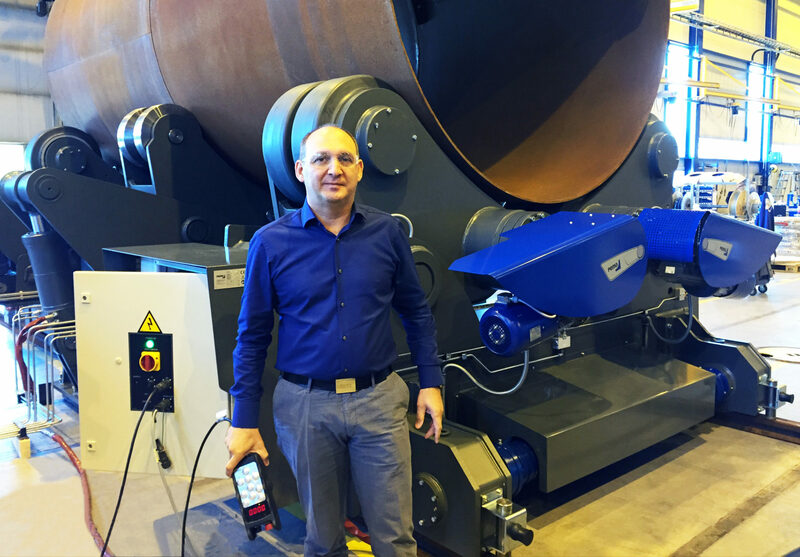 – Our need was a solution that could not only weld with high quality and join cans together, but also to move heavy solutions from place A to place B. We didn’t have a solution for big pipes beforehand so we needed bigger equipment, describes Camino Munoz. Tecade carried out its first project with PEMA Assembly station in 2015 and the advantages were instantly visible. The project of manufacturing piles with a diameter of 2,7m and thicknesses of 50, 60 and 100mm was finished in March 2016. – The assembly line has certainly saved time. It has provided more efficiency and assembling capacity, but also better prices to manufacture, which ensures us a better competitive position in our favor, sums up Camino Muñoz. Foundation manufacturing, plate, jacket and shell/section fabrication.